I'm posting today at the Happy Endings Blog! The Vixens talk about our recent projects, so come see what we've been up to! I'm working away at my steampunk short story and I'm almost done. This month I’m teaching my workshop, Instinctive Characterization. In it I cover backstory event and lots of other elements and methods writers can use when developing characters. You can still register if you want. Just visit my website and click on the link at the top, or click workshops on the menu. 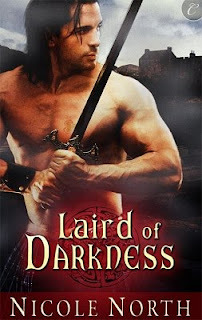 Half-Fae Laird Duncan MacDougall is cursed. His nights are haunted by Otherworld creatures sent to kill him. The only way to stop them is to possess the magic bow currently in the hands of his enemy half-brother, Kinnon MacClaren. In desperation, Duncan plans to take MacClaren's bride-to-be hostage and exchange her for the bow.